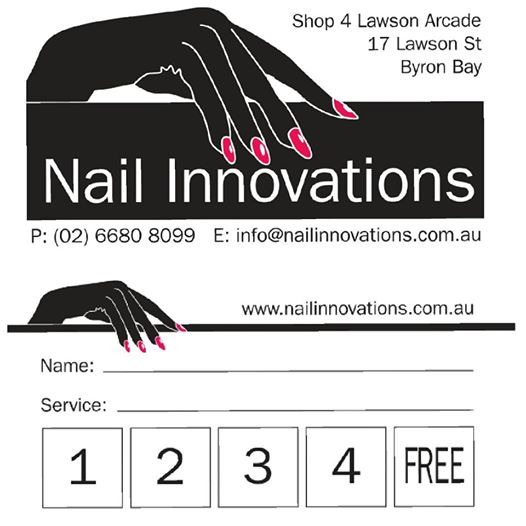 You can book at Nail Innovations Byron Bay online using our Book Now button located above. Select from a list of services offered, pick your favourite Nail Innovations staff member and book from the dates available. Passionate about what we do! 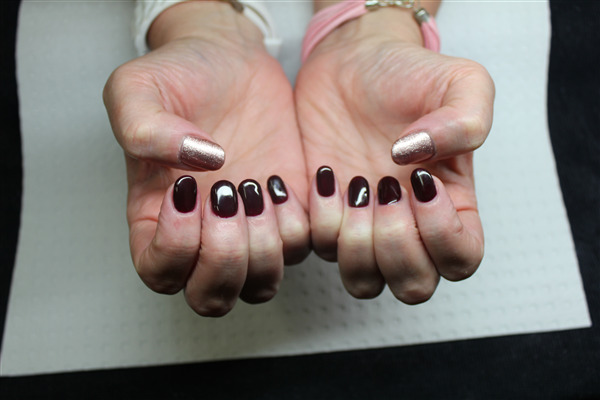 Nail Innovations specialise in nails! But we also take on any new and exciting services that may be of interest to our clients. We’re in the business of genuinely caring for you and your needs, and to make you feel, that when you leave, you’re glad you chose our salon for your service. 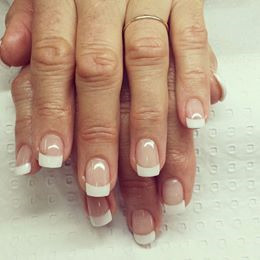 We educate you in the ongoing care for your nails and have the experience and knowledge to customise our services to suit your individual needs. We aim to please! 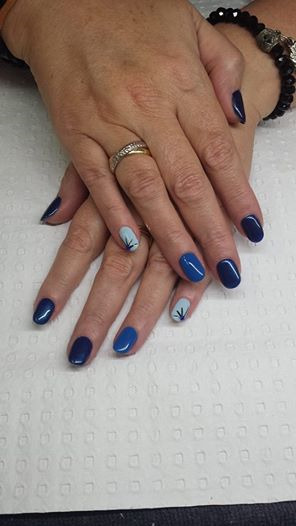 Nail Innovations - Byron Bay The business owner is a fully qualified professional nail technician and has been in the beauty industry for over 25 year. 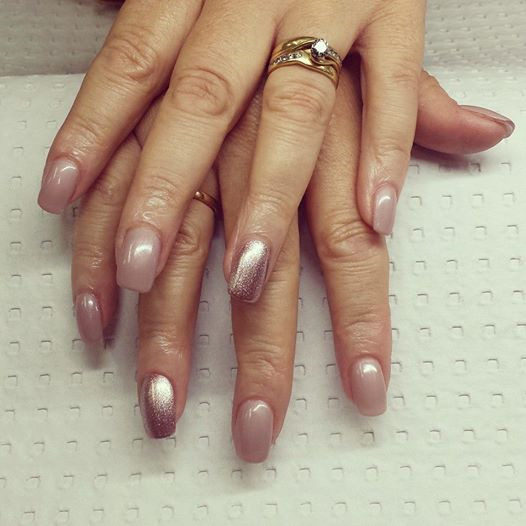 She has specialized in the nail industry, and operated Nail Innovations in Byron Bay since 1997. 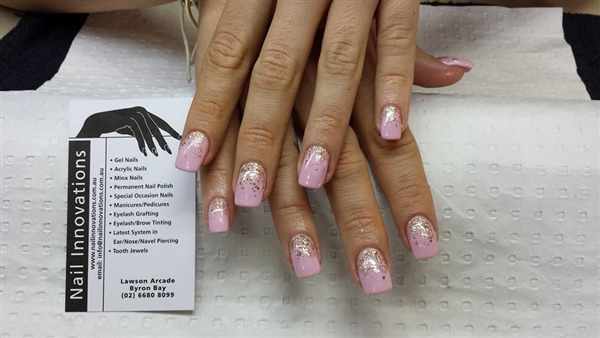 During this time Nail Innovations has earned its reputation as being a top class salon with professional and friendly staff who genuinely care about people. Our on going training, and use of quality products ensures excellence in our work. Please take a few minutes to explore our website. Take a look at our service menu and specials, and find out more about our gift certificate service. If there is anything more we can help you with or if you would like to make an appointment, You can e-mail us or simply call. Thank you for taking the time to visit our site, we look forward to seeing you soon. The overall ranking and star rating is based on customer reviews received in the last 6 months. All customers that paid for a service at Nail Innovations were requested to complete an independent review by mylocalsalon (a minimum of 26 reviews are required within the last 6 months to receive a ranking).